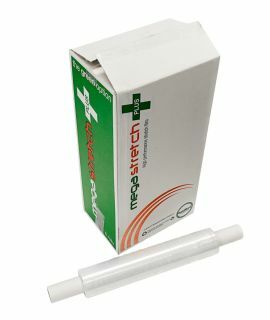 Megastretch+ Plus™, high-performance hand film with an extended core is available in clear cast film and blown film. 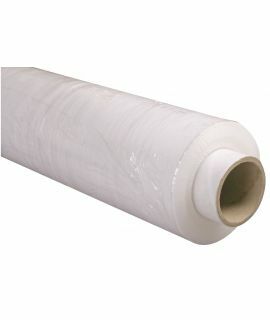 This strong and versatile wrap is used to wrap pallets and to ultimately protect goods in storage and transit. Offering superior strength properties, this stretch film can be used on almost any pallet configuration and with its unique load stabilizing technology, it protects against puncturing and even when wrapping around sharp and awkward objects. View all Megastretch+ Plus™ plastic extended core choices below. Explore the Megastretch™ stretch film range.